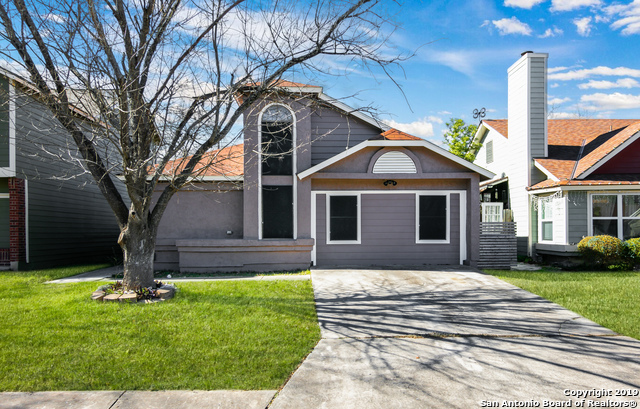 All EMERALD VALLEY homes currently listed for sale in San Antonio as of 04/25/2019 are shown below. You can change the search criteria at any time by pressing the 'Change Search' button below. If you have any questions or you would like more information about any San Antonio homes for sale or other San Antonio real estate, please contact us and one of our knowledgeable San Antonio REALTORS® would be pleased to assist you. "Saltillo tile in social areas, new carpet installed in all bedrooms, garage originally converted to a 4th bedroom, covered patio renovated. schedule your appointment today!" "Great starter home with nice curb appeal on a quiet street. Enjoy the serene back yard with covered patio deck and beautiful landscaping. Built in china cabinet in breakfast area and an open floor plan throughout. Over-sized two car garage with lots of built in cabinets for storage."